DELRAY BEACH, Fla. - May 12, 2016 - PRLog -- Cultural Explorations Cuba's latest client, a group of 81 wealth management travelers, were invited for a special tour and cocktail hour at the residence of Ambassador Jeffrey DeLaurentis in Havana, Cuba. 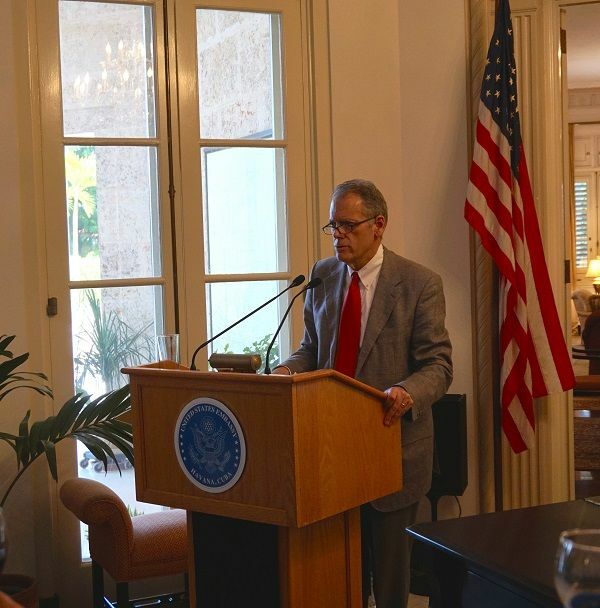 DeLaurentis, a career member of the Senior Foreign Service, is the Chargé d'Affaires at the U.S. Embassy in Havana, Cuba. Cultural Explorations is proud to be the first U.S. tour operator to be involved in something so cutting edge in the newly accessible island nation. 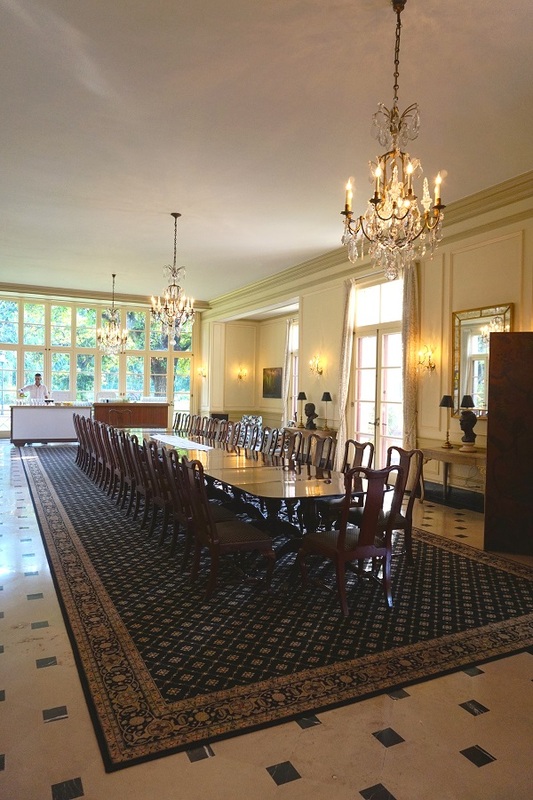 "The residence was absolutely breathtaking," says Cultural Explorations' Travel Manager Ampa Manzella. "It was like walking into a Caribbean palace," she added. Cultural Explorations' CEO Renee Radabaugh states she is "thrilled to have these strong relationships and now be able to offer many exciting options to our corporate clients." The Ambassador respectively greeted his guests at the door, and spoke about current relations between the U.S. and the "Pearl of the Antilles." Cultural Explorations Cuba is a full service, travel provider offering a number of cultural tours to Cuba. The company was launched by founder of Paragon Events (a 26-year event production company), Renee Radabaugh, after she visited the island country on business. She recognized immediately a need to provide high-quality, innovative cultural trips to Cuba that are legally available to all Americans. Cultural Explorations Cuba has years of facilitating travel programs and corporate meetings to the island including culinary, fashion, art and cultural, educational and religious programs, to name a few. They have developed strong relationships with many Cuban suppliers (restaurants, hotels, entertainment), which allow exclusive access to unique local experiences. All travelers will travel under Cultural Explorations Cuba's people to people license, which makes this travel legal by the U.S. Department of the Treasury's Office of Foreign Asset Control (OFAC). The firm will manage all aspects of your trip, including round-trip airfare, visas, meals and hotel reservations, Cuban health insurance, and all other requirements for the trip, making it a simple solution for Cuba travels. The true benefit, however, is their multilingual travel managers who contribute to making your trip unforgettable starting at Miami International Airport; they even reserve a professional, local, English-speaking Cuban tour guide. Cultural Explorations Cuba, based in Delray Beach, Florida, prides itself in giving their clients memorable and rewarding travel experiences. Through people to people programs, travelers on their Cuba specialty tours will be able to experience first-hand what makes the island country so fascinating. Cultural Explorations - Engage. Explore. Embrace. Call them at (561) 921-2425 or visit their website at http://www.cultural-explorations.com for more information about their Cuba trips.